Captain William Kidd was a 17th-century Scottish sailor who became one of the best-known privateers of his time. He began his career as a legitimate English Privateer before he was tried and executed for piracy in 1701. 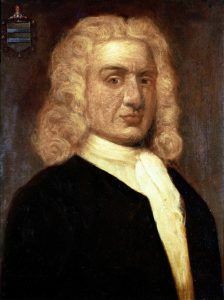 William Kidd was born in Dundee, Scotland in about 1654 to Captain John Kyd, and his wife Bessie Butchart. When he was just a boy, his father was lost at sea and his family was financially supported by a local society. When he was old enough, he went to work as a privateer for European royals to attack foreign ships. A privateer was a non-military person or ship that engaged in maritime warfare under a commission of war. 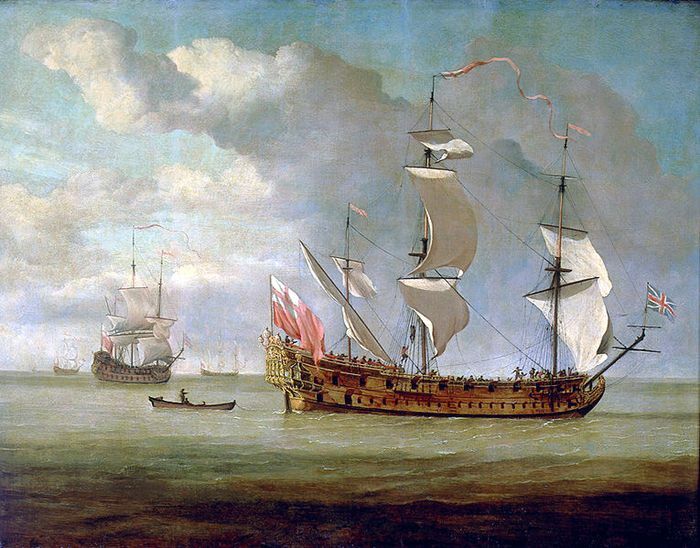 Privately owned merchant ships, licensed by the crown, could legitimately attack and take vessels that were deemed to be pirates or privateers from opposing nations. 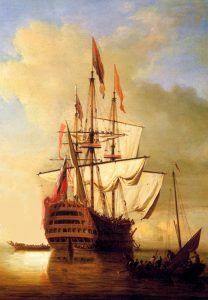 Captured ships were then sold with the proceeds divided between the privateer sponsors, shipowners, captains, and crew. In practice, the legality and actions of the privateers were often vague. 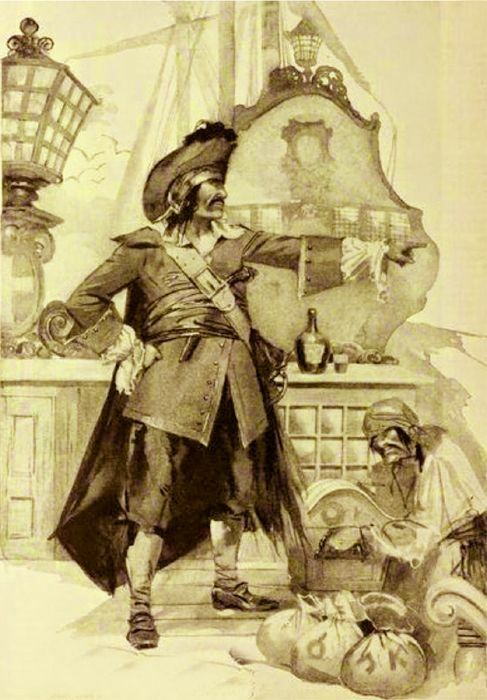 After working for various buccaneer crews, William became a respected privateer in his own right by the 1680s. At about this time, Kidd set sail for America and settled in New York City, where he befriended many prominent colonial citizens, including three governors. By 1689, Kidd was a member of a French-English pirate crew sailing the Caribbean under Captain Jean Fantin. During one of these voyages, Kidd and other crew members mutinied, ousted the captain, and in August, sailed to the British colony of Nevis in the Carribean Sea. 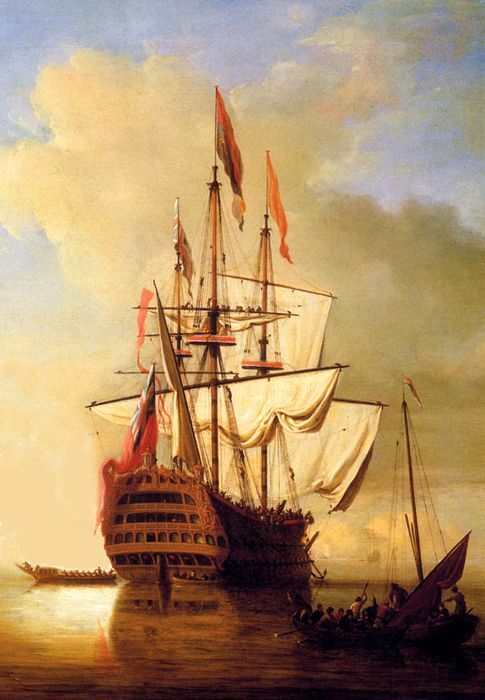 The ship, equipped with 16 guns, then became part of Nevis Governor Christopher Codrington’s small fleet, was renamed the Blessed William, and William Kidd became its new captain. Governor Codrington’s small fleet was tasked to defend Nevis from the French, with whom the English were at war. As tensions increased between England and France, Captain Kidd’s influence grew as he was tasked with protecting English ships, not only in the Caribbean but also along the coast of New England. By 1690 he was an established sea captain and shipowner in New York City, where he owned property and at various times, was dispatched by both New York and Massachusetts to rid the coast of enemy privateers. On May 16, 1691, Kidd married Sarah Bradley Cox Oort, an English woman in her early twenties. Despite her young age, Oort had already been twice widowed and was one of the wealthiest women in New York, largely because of her inheritance from her first husband. He found such success in America and the West Indies that he was called back to England in 1695 to take on a new royal commission. While he was there, Kidd met the 1st Earl of Bellomont, Richard Coote, who was to become the governor of New York and New England. In October 1695, the King’s officers offered Kidd a position apprehending pirates who were attacking the ships of the East India Company and to capture French ships in the Red Sea and in the Indian Ocean. The seaman was to become the captain of a new ship called the Adventure Galley that was equipped with 34 cannons and a crew of 150 men. Weighing over 283 tons, the vessel was also equipped with oars that would give it an advantage, as it could maneuver in battle even when the winds were calm. Kidd accepted the offer and personally selected his crew and officers for their skills, experience, and loyalty. Any confiscated booty would be divided between Kidd, his men, and his backers. In May 1696, when the Adventure Galley set sail from Deptford, England down the Thames River, the venture immediately got off to a bad start. Apparently, both captain and crew had been drinking during the launch party and as they passed a Royal Navy ship, they failed to salute, which was not only customary but also required. Insulted, the Navy fired a shot demanding that the seamen on the Adventure Galley show some respect, but were rewarded by some members of the crew dropping their breeches, turning around, and slapping their backsides. In response, the Navy captain retaliated by pulling over the Adventure Galley and impressing many of the crew members into immediate service in the Royal Navy. Short-handed, Kidd then sailed for New York City to restaff his crew. Unfortunately, some of these new members were not of the quality as those he had lost to the Navy. In fact, some were known and hardened criminals and others were former pirates. This detour created another problem as Kidd would not be able to meet his agreed upon return date of March 1697. With a full crew, the Adventure Galley set sail for Africa’s Cape Town. When he was about 100 miles away from his destination, he stopped a Royal Navy vessel and demanded the captain supply him with new sails to replace those that had been damaged in his trip across the Atlantic. When the captain refused, Kidd threatened to stop the first English merchant ship he saw and forcibly take its sails. To this, the Navy captain threatened to Kidd with treason and impressed more of his men into service. That night, Kidd used the ship’s oars to quietly slip away and avoided Cape Town. By about February 1697, the Kidd and his men made their way to the east coast of Africa where they stopped for supplies. Here, many of the crew became ill and before the ship departed, 50 of his men had died. They made their way to the mouth of the Red Sea, where the seamen faced more problems. Though the ship was only a little over a year old, it was beginning to show wear. The joints were loose causing leaks and the bottom was infested with shipworms. In the meantime, they had run into very few ships other than fishing vessels and had taken no prizes of note. The men were getting restless, concerned about the lack of loot the ship had gained in the long journey, and tempers grew short. At some point, a gunner named William Morre got into an argument with Captain Kidd and began to talk of mutiny. Kidd responded by hitting the man in the head with an iron-bound bucket, knocking the man to the deck and fracturing his skull. Moore died the next day.